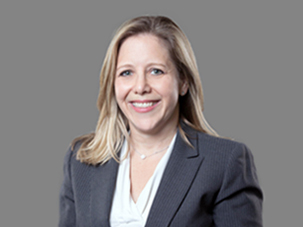 Michelle L. Greenberg, Esq., is a Partner in Frier Levitt’s litigation department, focusing on healthcare and commercial litigation, as well as substantial personal injury matters. She has developed a comprehensive knowledge of the law in these areas and has been successful in obtaining positive results for her clients. Michelle understands her client’s goals and works effortlessly yet aggressively to achieve the objective in an efficient and cost-effective manner. Michelle has extensive Courtroom experience on the State, Federal and Appellate level and utilizes her legal and persuasive arguments to obtain the best results for her clients including money judgments, injunctive relief, and dismissal of frivolous lawsuits. In addition to her litigation experience, Michelle also focuses her efforts on assisting clients in resolving disputes before having to litigate. She has been instrumental in the separation of numerous healthcare practices and businesses without the need for protracted litigation. Michelle recently obtained a settlement of $10,000,000 for her client who was severely injured as a result of being struck and run over by a New Jersey Transit bus. The quick action in canvassing the scene of the incident for evidence yielded a surveillance video that captured the incident. This proved essential to disputing the bus driver’s version of the incident. Michelle is aggressive in representing her clients, leaves no stone unturned and goes above and beyond to assist her clients. In addition to the areas of healthcare and commercial litigation, Michelle developed an in-depth understanding of the Bankruptcy laws saving clients millions of dollars in preference “claw back” cases. Judicial Clerkship: The Honorable Ralph L. DeLuccia, Jr., J.S.C. In October 2018, Michelle was certified as a Member of the Multi-Million Dollar Advocates Forum and Million Dollar Advocates Forum. Membership is limited to attorneys who have won million and multi-million dollar verdicts, awards and settlements.